Darussalam is proud to present the first 4 volumes of Musnad Imam Ahmad in Arabic with side by side English translation and comments regarding authenticity. The complete set covering the 27,000 hadith will be in 18 volumes once it is printed Insha-Allah. More volumes will be available here once they are available. One of the noblest and the most important aims of Darussalam is to publish books of ahadeeth (Prophetic narrations). From the very first day of its inception, Darussalam desired to publish translations of books of ahadeeth along with translations of the meanings of the Qur'an in important languages of the world. 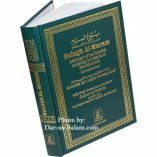 By the grace of Allah, Darussalam has completed twenty-five years and during these long years, we have published, by the grace of Allah, as many as fourteen hundred books. We started with Riyadhus-Saliheen, which we translated into English and other languages, followed by Bulughul-Maram. Then we published, in quick succession, English translations of the six canonical books of hadeeths (Al-Bukhari, Muslim, Abu Dawood, At-Tirmidhi, Ibn Majah and An-Nasa'i) in 38 volumes - a momentous and pioneering achievement admired by lovers of hadeeths worldwide. 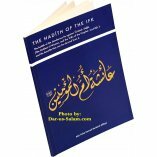 This was a unique achievement in Islamic history in that this was the first time the six canonical books of hadeeths were published along with their English translations. The four Sunan books (Abu Dawood, At-Tirmidhi, Ibn Majah and An-Nasa'i) were also documented, referenced, graded and accompanied by footnotes (where necessary). In the meantime, many a friend of mine asked me to publish the English translation of Musnad Imam Ahmad, the largest collection of ahadith. In fact, I had already pledged to Allah that if I stayed longer in Saudi Arabia, I would surely undertake this work as soon as I got a chance to do it. The Musnad of Imam Ahmad is a reliable and authoritative work containing over twenty seven thousand (27,000) ahadith. The execution of this project was no easy task. In fact, the project exceeded our resources but we relied on Allah and started the work. The words of the Prophet have been highlighted within brackets. Each hadeeth is accompanied by a commentary determining its degree of authenticity, i.e., detailing whether it is authentic, weak, and so on. 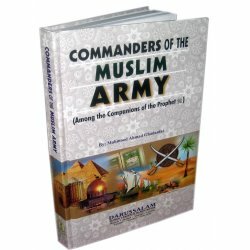 We have specified and referenced which narrations of the Musnad are also found in AI-Bukhari and Muslim. The verses of the Qur'an occurring in the texts of hadeeth have been placed within decorative brackets and referenced. 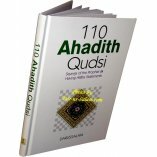 Each hadith is accompanied by words, raji' (refer) and unzur (see) followed by hadith numbers indicating where that particular hadith has already occurred and where it will occur again. Another distinctive mark of the Darussalam version setting it apart from other current versions is that we have identified Ziyadat (the additional hadith which Imam Ahmad's son, Abdullah, narrated from persons other than his father) and Wijadat (the hadith which Imam Ahmad collected and wrote from other sources), by means of special signs preceding the hadeeth number. Moreover, we have also identified the narrations jointly shared by Imam Ahmad and his teacher or some other narrator. 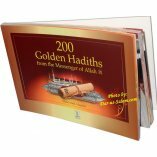 The English translation of this book of hadith was, no doubt a difficult and laborious task which was undertaken by Br. Nasir Khattah, a resident of Canada, who has been affiliated to the Darussalam Research Center for the past eighteen years. Translating hadith of the Prophet is a highly sensitive matter and no easy job, and Br. Nasir Khattab, with his extensive experience in this field, having already translated several books of ahadith into English, fulfilled the task to the best of his ability. The editing; was done by Sister Huda Khattab, who completed her part of the job with great diligence and devotion. At present, in the first stage of the project, we are publishing the first three volumes of Musnad Ahmad. 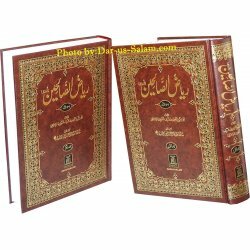 In the following three or four years we hope to complete, Allah willing, the entire project, numbering about 18 volumes in all. 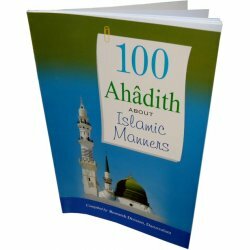 We have tried our best to translate the ahadeeth in a simple, easy to understand language because our aim is to reach as large a number of people as possible. Our prayer is that they benefit by it and practice what they learn. 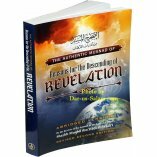 We ask Allah to make this collection of ahadeeth, which is the most comprehensive of its kind, an invaluable asset for the Ummah, a means of their salvation in the Hereafter, and count it among our good deeds on the Day of Judgment. Ameen. Murray B. on 09/20/2018 Very good bilingual edition. Ibrahim P. on 12/26/2017 Thank you for making this 4-volume set accessible to the English speaker. I had never had the opportunity to read it because it was never available. Everything about this work is exceptional, from the print quality to the easy to read Arabic text, to the brief comments at the end of each Hadith, which give the grade without discoursing overly much or giving unneeded opinions or commentary. The translation is very good. I thank the publisher for their service. Rawusht A. on 09/21/2016 Very good book.